On May 27, Fr. Heiner Wilmer, newly elected superior general, was the main celebrant at a Mass of Thanksgiving. Joining him at the altar was the newly elected council.The Mass was broadcast live on TeleDehon. New General Council – Congratulations! After the election of the General Superior on May 25, 2015, members of the General Chapter have elected five (5) members of the Council. On the same day in the afternoon, Fr. Leopold Mfouakouet, the Provincial Superior of Cameroon, was voted as the first member of the council representing the continent of Africa. On Tueasday, May 26, the second to be elected or rather re-elected, for the next six years as general councilor, was Fr. Paulus Sugino, representing the geographical zone of Asia. The third councilor became Fr. Artur Sanecki, the Provincial Superior of Poland, representing Europe. The fourth councilor, representing the South America, is the Regional Superior of Venezuela, Fr. Carlos Enrique Caamaño Martin. Fr. Carlos, 48, is the youngest member of the council. Finally, Fr. Steve Huffstetter, the U.S. Provincial Superior became the fitfth general councilor, representing the North America. The election of the members of the General Administration was conducted in a very smooth and fraternal way. They seem to be a good and strong team. The official start of the New Administration is the end of the General Chapter on June 6, 2015. Today, May 25, Fr. 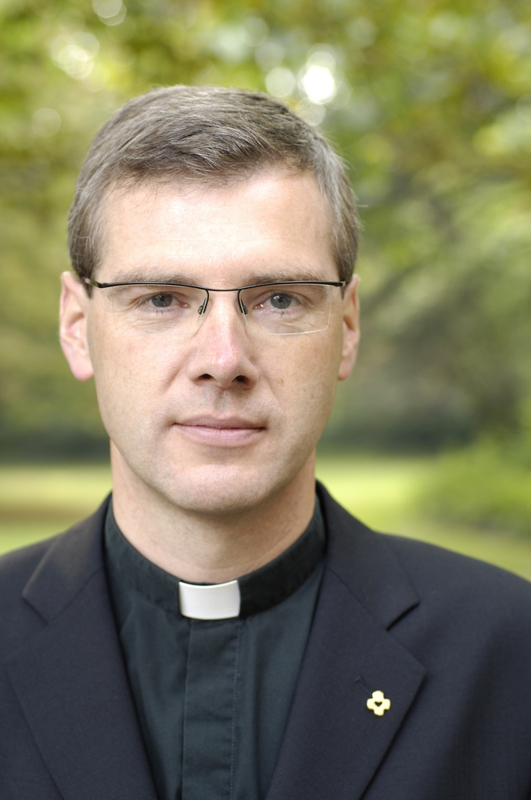 Heiner Wilmer, SCJ, was elected as the 10th superior general of the Priests of the Sacred Heart (Dehonians). He succeeds Fr. José Ornelas Carvalho, who completes his second, six-year term. Originally from Germany, Fr. Wilmer, 54, has been the provincial superior of the Dehonians’ German Province since 2007. He was ordained in 1987, and professed his first vows with the congregation in 1982. Prior to his service as provincial superior Fr. Wilmer held a number of positions in education. From 1998 – 2007 he was headmaster of Gymnasium Leoninum in Handrup, Germany. Before that, he spent a year teaching German and history at the Jesuit’s Fordham Preparatory School in New York (USA). Fr. Wilmer has also taken part in several social initiatives with the poor and disenfranchised. In 2006 he spent three months in Caracas, Venezuela, doing catechesis among the city’s barrios. From 1996 – 1997 he worked to develop a training initiative for women at a penitentiary in Vechta (Germany). Fr. Wilmer is also an author with several published works. His election took place during the General Chapter of the Priests of the Sacred Heart in Rome. The event brings together Dehonian priests and brothers representing 40 countries on five continents. In the next few days the chapter delegates will complete the election of the five-member General Council. The chapter concludes on Saturday, June 6. This is the theme that stimulates the Dehonian Youth Missionaries annual summer mission this year. 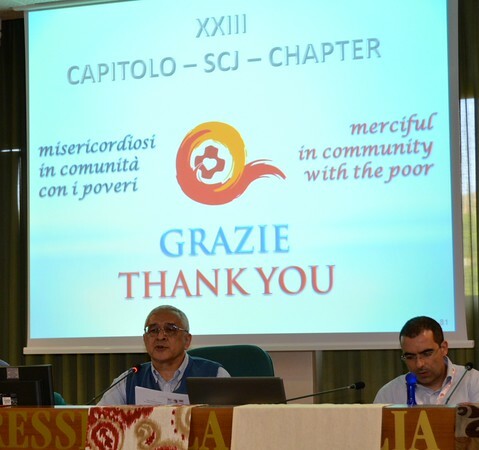 In solidarity with the Year of the Poor and inspired by Pope Francis’ apostolic exhortation, Evangelii Gaudium, fundamentally rooted in Jesus’ commissioning to his disciples, “Go into all the world and proclaim the Good News” (Mk 16, 15), 40 young missionaries joyfully took the challenge to announce to the people of Dansolihon Chaplaincy, Cagayan de Oro City the joy of the Gospel they themselves experienced. They started their mission with a formation seminar on May 13-16, 2105 at the Sacred Heart Formation House before they were sent forth to the mission areas of Dansolihon and Mambuaya on May 16-22, 2015. The missionaries visited and blessed the Christian families in the areas. During house visitation, they prayed together with the family, shared about their Christian life, and bless the household. They also conducted activities in the main chapels like Taizé prayer with confession, Eucharistic celebration, animation and the popular Flores de Mayo for children. One of their aims was to organize the youth and children of the chaplaincy. In the afternoon, while the others resumed the house visitation and blessing, some members worked with children, youth, and adults by giving seminars and catechism. They facilitated themes on Christian leadership, community building and recollection. The Lay Dehonians also participated by having an afternoon of feeding program for the children in Dansolihon. All had their share and enjoyed the food very much. The participation of the communities made the missionaries even more enthusiastic to mingle with them. Besides, the community life being experienced by each group strengthened their bond. Amidst differences and several preferences, they became missionaries as well to each another. Their way of life, even for just a short time, became a proclamation of the Good News. This mission activity was not merely an enhancement for the people of Dansolihon Chaplaincy but significantly for the moral and faith development of the Dehonian Youth. With the inspiration they learned from Fr. Dehon, they live out in their lives the Ecce Venio and Ecce Ancilla. The spirit of availability for God becomes even more enriched and actualized. 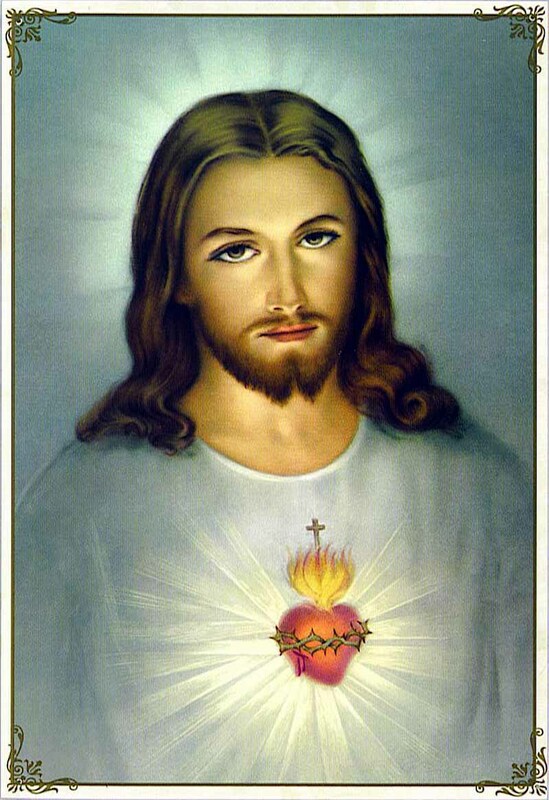 Sunday, May 17, 2015 marks the start of the XXIII General Chapter of the Congregation of the Priests of the Sacred Heart of Jesus, which is the highest legislative body of the congregation held every six years. It started with the prayer and common supper during which the chapter participants shared the food and beverages from their respective countries. It was also the time of introduction of all the participants. 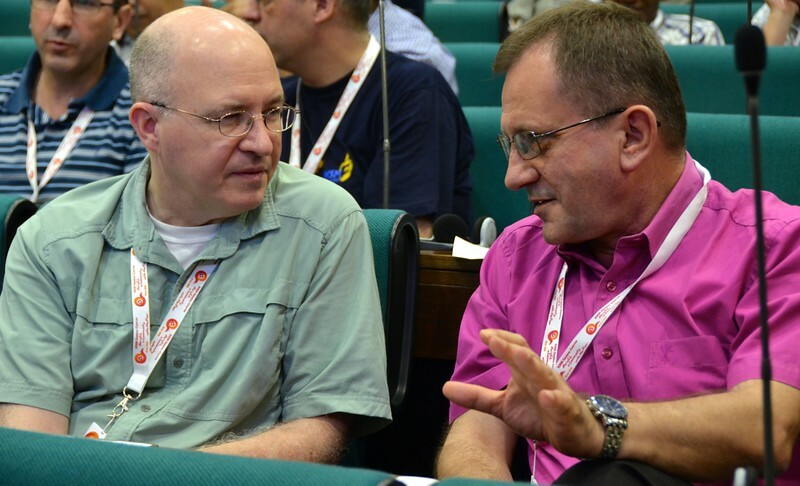 All together, there are 78 participants: 8 members representing the General Curia, 20 Provincial Superiors, 4 Regional Superiors and 46 elected delegates. The SCJ Philippine Region is being represented by Fr. Francis Pupkowski, the regional superior and Fr. Donald Longno. On May 18, the first full day of the chapter, participants had a day of reflection led by Fr. Carlos Luis Suárez Codorníu of Venezuela. The day ended with an opening: the opening mass celebrated by Fr. José Ornelas Carvalho. Tuesday, May 19, was the first day of “business” for the General Chapter. The delegates, staff and invited guests were seated and the superior general, Fr. José Ornelas Carvalho, gave his “State of the Congregation” report. The report, which was the summary of the last six years of activities of the General Administration and the whole Congregation, was accepted with applause. Wednesday, May 20, 2015, began in small group discussions, reflecting on the general superior’s report. In the afternoon, it was time for finance. The general treasurer, Fr. 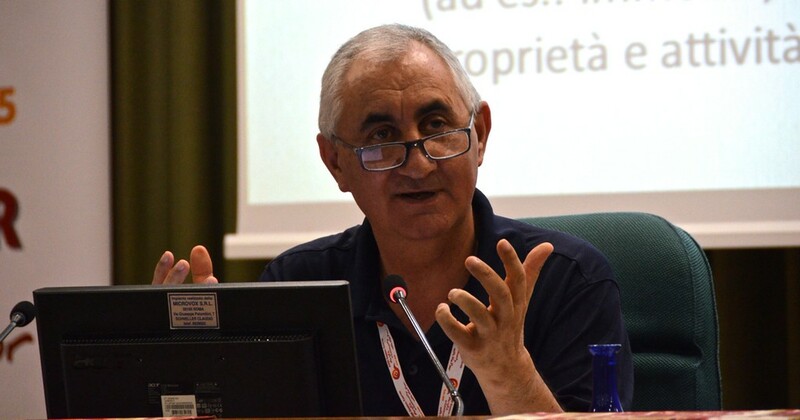 Aquilino Mielgo, gave his report; he was followed by the commission of financial experts who had done an external audit of the congregational finances. After the Final Profession of Vows, the two (2) members of the Philippine Region and one (1) member of the Vietnamese District: Bro. Ronald M. Basco, Bro. Sergio Shoiti Matumoto and Bro. Dinh Van Nguyen were ordained deacons. The celebration was held at the San Isidro Parish in Dumalinao, Zamboanga del Sur, which belongs to the Diocese of Pagadian. The three SCJs were ordained by the local bishop Most Rev. Emmanuel Cabajar DD, CSsR, on May 14, 2015, the day before the Patronal Feast of the Parish. 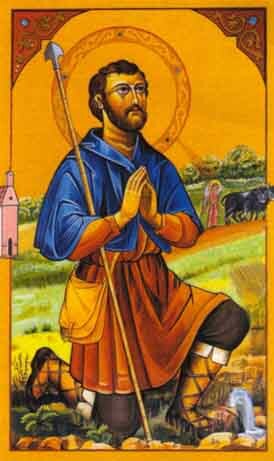 St. Isidore, the farmer, is a very popular patron saint in the Philippines, especially in the rural areas of Mindanao. In fact, both parishes in Zamboanga del Sur served by the SCJs, Kumalarang and Dumalinao, have him as their patron saint. 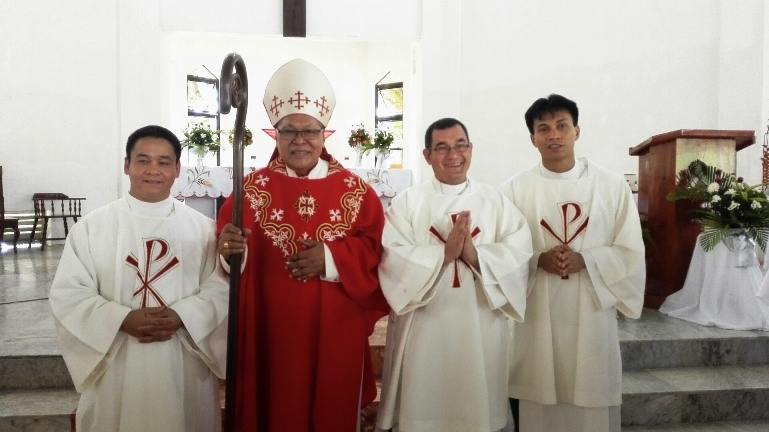 Today, on May 13, 2015, the following members of the Philippine Region and Vietnamese District: Ronald M. Basco (PHI), Sergio Shoiti Matumoto (PHI) and Dinh Van Nguyen (VIE) made their Final Profession of Vows: Chastity, Poverty and Obedience in the Congregation of the Priests of the Sacred Heart of Jesus. During the same celebration three (3) Novices: Rene Boy Soccoro (PHI), Dinh Nguyen (VIE) and Son Nguyen (VIE) professed their first vows of Chastity, Poverty and Chastity. The vows were accepted by Fr. Franciszek Pupkowski, superior of the Philippine Region. The ceremony was held at the church of St. Isidro Parish in Dumalinao and was witnessed by SCJs coming from different communities, religious sisters, families and friends of the professes.